oty Petrovits-Andrutsopulou is one of the most prominent, prolific and popular children's writers in Greece, having received every major Greek award of children's literature. Her 36-year work spans the period during which Greek children's literature flourished and came to maturity. In fact, her work contributed substantially to this flourishing and was one of the factors that brought this maturity into being. Her books have been published in numerous editions and have received excellent reviews, while many of them have been adapted to other media. Her work has been the subject of several M.A. and Ph.D. theses in Greek Universities. Her books promote ideas that have a universal and timeless appeal. Her themes, although drawn from Greek reality and cultural background, are ultimately worldwide important issues. Children anywhere in the world can identify themselves in her stories despite cultural diversities. Thus, it is believed that the majority of her books are internationally adaptable and transferable. While her range of subjects is wide, certain underlying themes remain constant. Thus, the whole body of her work presents a remarkable unity and cohesion. What is more, her novels are skillfully related to one another, yet each book retains its own integrity, explores different facets of human experience and deals with a separate topic, ranging from human rights (For their other Country, The Boy from the Sea), rejection of war (The Little Brother, Wrong Mr. Neuger!, Chocolate Time, The Red Wine Prophecy) and Neonazism (Monsters on the Hill), to divorce, death and family conflicts (A House for Five, Black Coral in the Pocket, Canary and Mint, The Red Wrath), heavy bread winning work for underage children (Boy Wanted), or drug addiction (In the Cement Forest). Thus, each novel can be read autonomously, not necessarily being considered as a prequel or sequel to others. This combination and complexity is enthusiastically received by children. As shown in the hundreds of letters Loty Petrovits receives, young people are pleasantly surprised when they meet in each new book some already known characters, or their friends or relatives, in different age, situation and time. Her style, while echoing Greece's classical past, bears the stamp of her personality and reveals renovative elements and modern writing techniques, such as multiple narrators, simultaneity of different points of view, or multipresentness of time (A House of Five, Wrong, Mr. Neuger!, A Song for Three, Traveling Stories, The Red Wine Prophecy). Intertextuality is another element to be traced in her works (Canary and Mint, Who will write about our Dog, The Mystery of the Summer Santa Claus, Every Day a Tale Every Night Goodnight, Granny Tortoise's Easter,The Red Wrath). In fact, book by book her work reveals a steadily developing art. Never being didactic, her books succeed however in combining aesthetic and moral values, traditional and progressive approaches to life, while her ability to see things from a child’s point of view is evident. These features can be noticed both in her vivid and absorbing novels (e.g. In the Cement Forest, Black Coral in the Pocket, The Red Wrath), as well as in her tales of fantasy, which stretch the child’s curiosity and are rich in creative imagination and poetic atmosphere (Stories of the 12 Months, Thrice upon a Time, The Family of the Sun, Mischivinos’ Mischiefs, Every Day a Tale, every Night Good Night, The Flower Child). The spirit prevailing in her books reflects the ideals of the International Board on Books for Young People (IBBY) and its founder Jella Lepman's belief in building "bridges of children's books". Rejection of war or any other kind of violence, an ardent desire for peace, a plea for freedom, justice and equal opportunities are underlying themes for many of her books. (The Little Brother, For Their Other Country, Wrong, Mr. Neuger!, A Song for Three, Thrice upon a Time, Chocolate Time, The Red Wine Prophecy, etc.). Furthermore, the right to be different, rejection of xenophobia, racism and sexism are attitudes also to be traced in her work, often in a humorous way (The Mystery of the Summer Santa-Klaus, The Family of the Sun, A Month like any Other, Monsters on the Hill, The Boy from the Sea). Her long involvement in the protection of refugees, indigent migrants and helpless children, as well as her own childhood memories of World War II and the Greek Civil War had a strong impact on her, reflected in her work. Profound humanity, compassion, respect of cultural diversities, care for unprotected children, and international understanding are values projected in the majority of her books, which are open to many levels of reading. It is strongly believed that such themes and values are now more than ever essential in children's books, in a world that is anew stricken by horrors reminding of Jella Lepman's time. Living close to areas in war and also near Third World countries, Loty Petrovits deeply feels the problems and situations faced by children from those parts of the world. That is why many of her books deal with themes familiar to young people growing in poverty, violence, constant threat of death, or having to work heavily from a very young age (e.g. her books The Little Brother, For their other Country, Boy Wanted, A Song for Three, The Boy from the Sea). She has an admirable ability in blending historical events with contemporary situations and characters who young people can relate to. Her books A Song for Three, Wrong, Mr. Neuger!, For Their Other Country and The Red Wine Prophecy are again good examples. She shows great respect for her own cultural tradition, but also for the tradition and culture of other peoples. Many of her tales of fantasy have their roots in Greek folk and fairy tales (Stories that Nobody Knows, Stories of the 12 Months, Seven Red Threads, 17 Greek folk-tales, The Animals’ Voice, The double yolk egg, Tales of Love, etc.). On the other hand, three of her books (one under publication), contain African, Asian and Afroamerican tales poetically adapted and retold. These books reveal her effort to bring children in touch with a piece of African, Asian and Afroamerican culture, and help them see the common roots of fairy tales and folk stories all over the world. Her language is rich, dynamic and colorful. In our information society, the ability to read has and will have a crucial meaning for the present and the next generation, as an extremely important factor. Thus, books such as those by Loty Petrovits, written in a rich and powerful language, contribute immensely in the efforts to promote reading. It is really regretted that the whole body of her work is not available in the major languages, so that the readers can estimate her writing, appreciate the wide range of her themes and enjoy the unique and absorbing way she treats them. 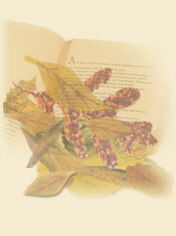 Loty Petrovits has made a prodigious and lasting contribution to the Greek Children's Literature not only by producing more than 50 books of the highest quality for young people, but also by assisting unselfishly her colleagues to promote and project their work, enrich their knowledge and get in contact with trends outside the country. She has worked for the Greek Section of IBBY with great devotion for 30 years, which proved extremely fruitful and effective for children's literature in her country. Thus, primarily for her excellent work, but also for her multi-dimensional activity, she is considered a leading personality of children's literature in Greece.